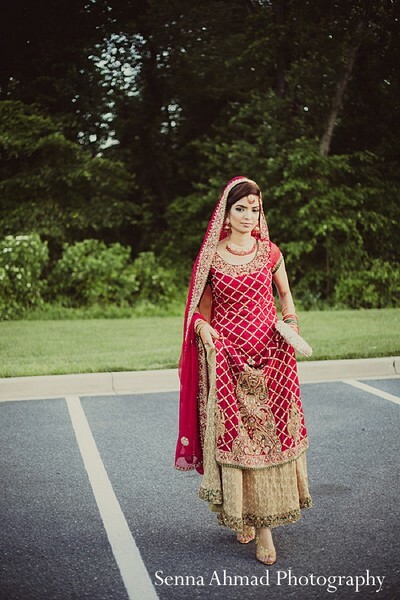 If you love all things ruby and scarlet, then you will be awed by this bright red rose wedding from Maryland! 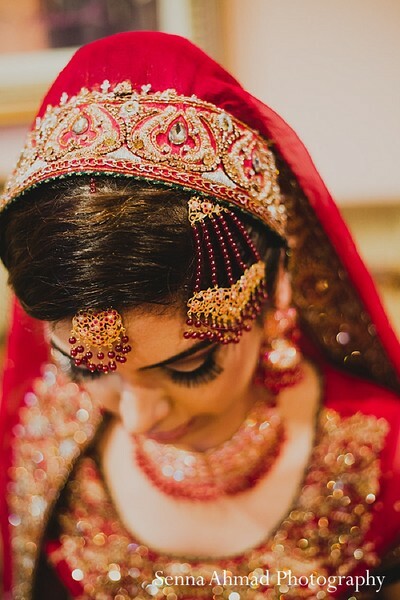 To ensure that our bride is as gorgeous as can be, Bridal Makeovers by Nadia is by her side giving her a radiant hair and makeup look that is totally classic. 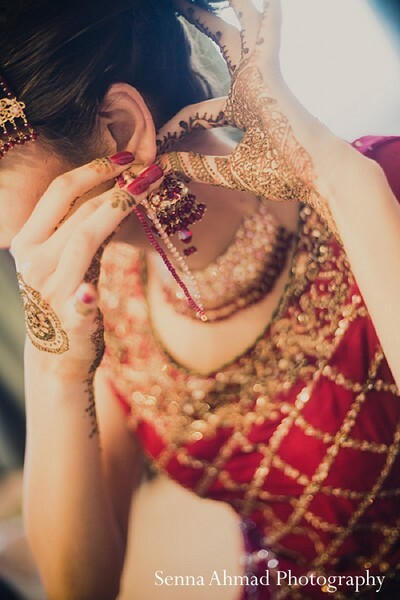 Her deep plum lip and sweet smoky eye are the perfect pairing for her stunning cherry and gold lengha. 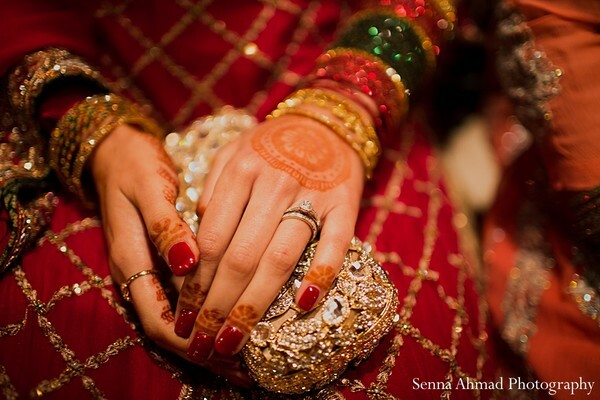 And did I mention that I love not only her beautiful mehndi designs, but also her elegant manicure? 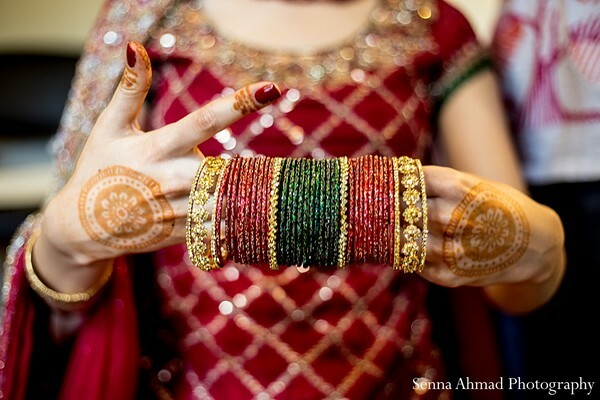 Valentine's may have been last month, but it's always a good time for brilliant strawberry-colored nails! 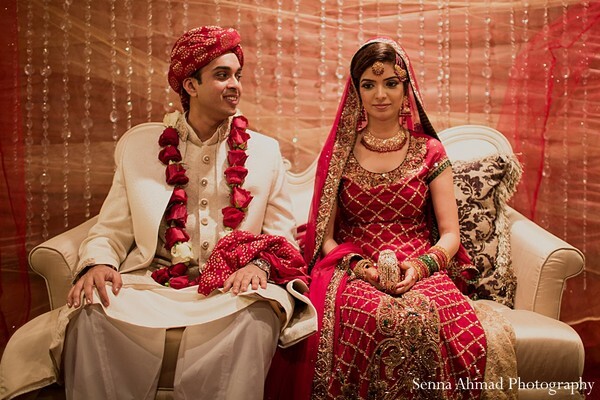 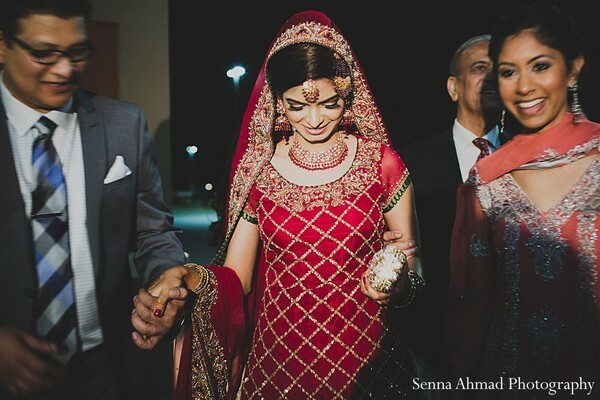 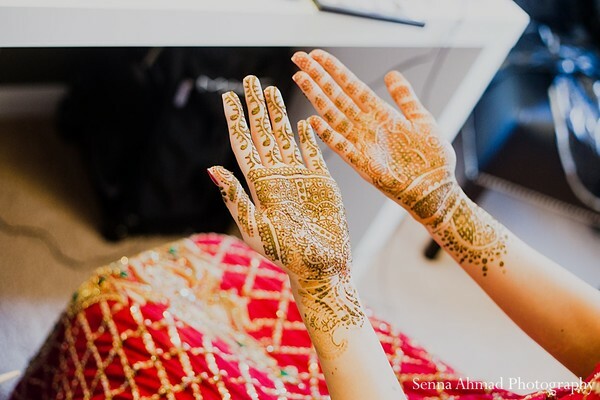 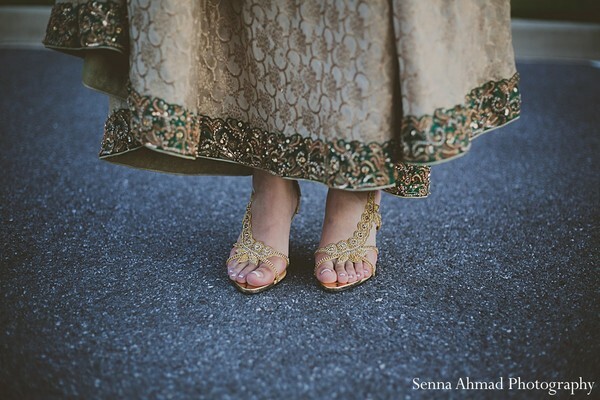 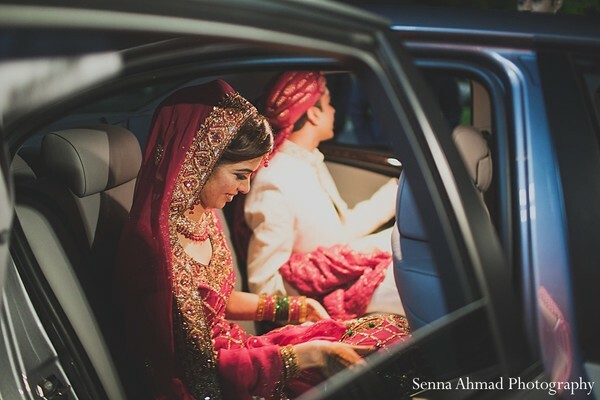 Senna Ahmad Photography captures every detail of this event and it's simply too pretty! 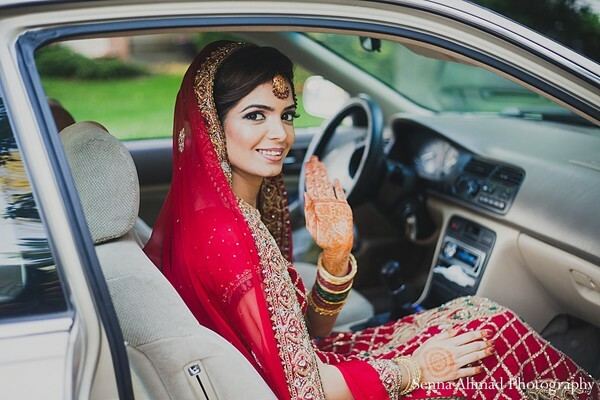 I just have to skip back through the gallery! 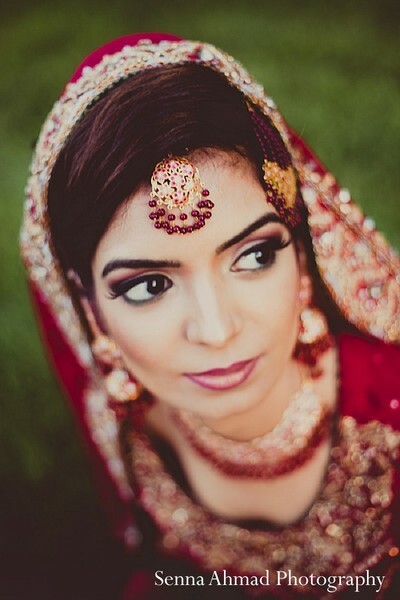 I'll see you tomorrow, Maharanis!